John ‘Jack’ Zenaro passed away Jan 30th peacefully at home surrounded by loved ones, after a brief battle with cancer. 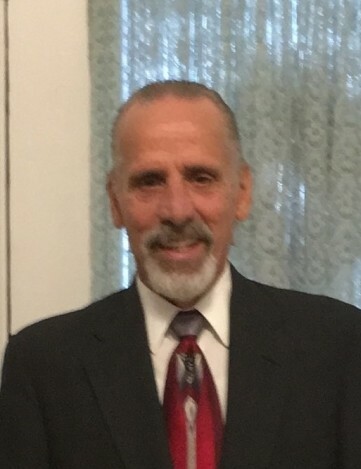 He leaves his daughter, Stephanie J. Zenaro of Worcester, his brother, David Zenaro of Brimfield, his aunt, Judith Boulanger of Worcester, beloved friend, Rosanne Papetti of Worcester, nieces, nephews and an extended family of many friends. Jack was a veteran of the United States Navy, serving during the Vietnam Era. He worked for many years as a stagehand, before becoming a merchandise vendor working at Gillette Stadium and other area venues. Jack was a huge Patriots Fan. He loved fishing with his buddies and poker night with the boys. He meant so much to so many and he will be GREATLY missed! Family and friends will say their final goodbyes by gathering for a time of visitation on Tuesday, Feb. 5th from 10 to 11 a.m. at St. John’s Catholic Church, 44 Temple Street in Worcester. His Funeral Mass will follow at 11 a.m. in the church. Burial will follow at W.C.M.P in Paxton.